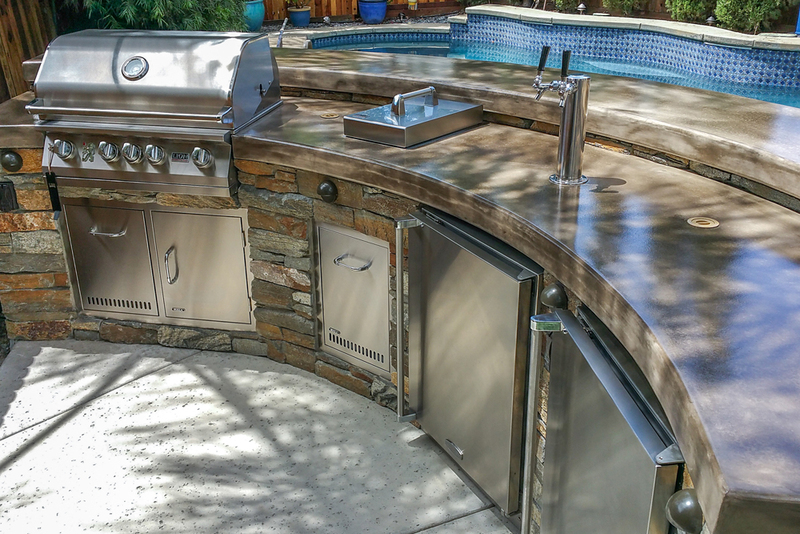 Sun and shade combine beautifully in this simple and elegant outdoor kitchen. 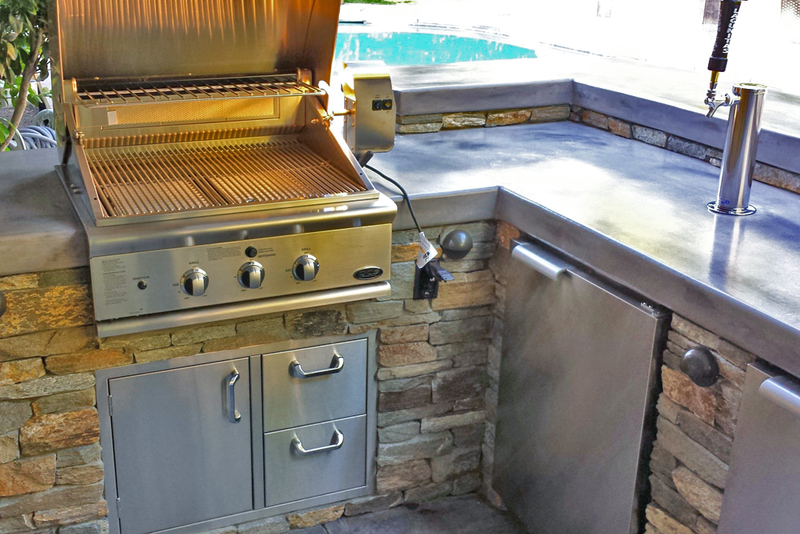 This is somewhat of a “bare necessities” kitchen, featuring just a grill and a refrigerator, but the overall effect is one of elegant simplicity. 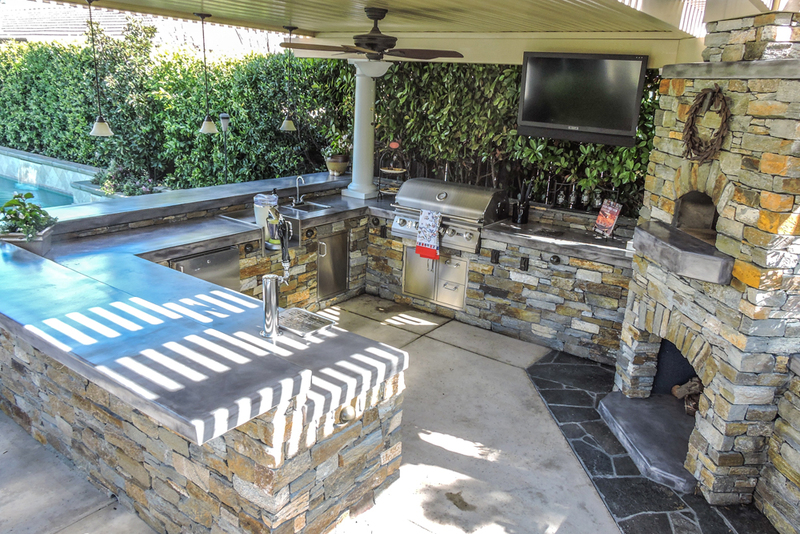 This simple, covered kitchen has space for bar stools, making it a great setup for entertaining, and it also features a beautiful view of the pool. 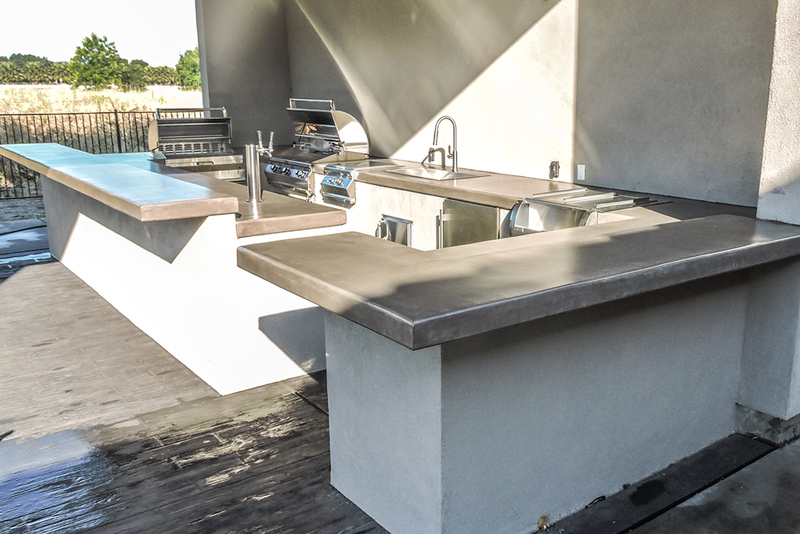 Whereas some of our outdoor kitchens take up a large portion of the available patio or backyard just for the kitchen part, this kitchen leaves plenty of room for an outdoor table, allowing friends and family to sit comfortably to enjoy a delicious meal. 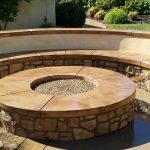 The rustic sandstone walls mirror the colors of the adobe walls, just showing the design elements we can use to make your outdoor kitchen fit in perfectly with your home and your backyard. 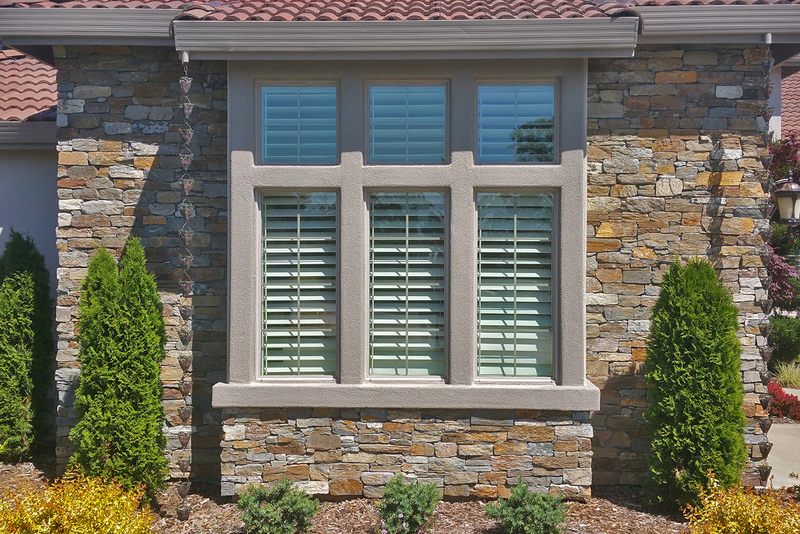 Every homeowner is different and every home is different. 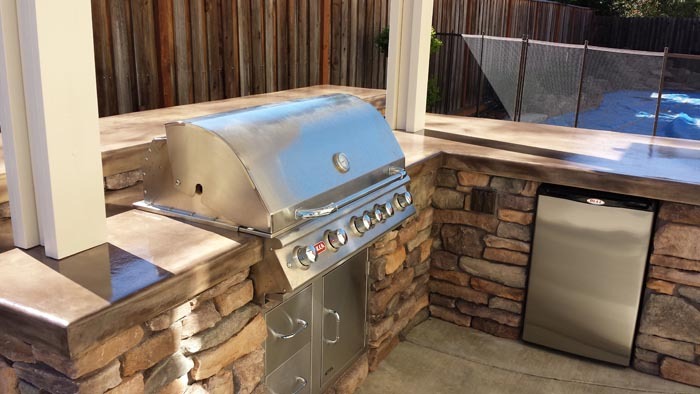 That means there is no such thing as a one size fits all outdoor kitchen or patio. 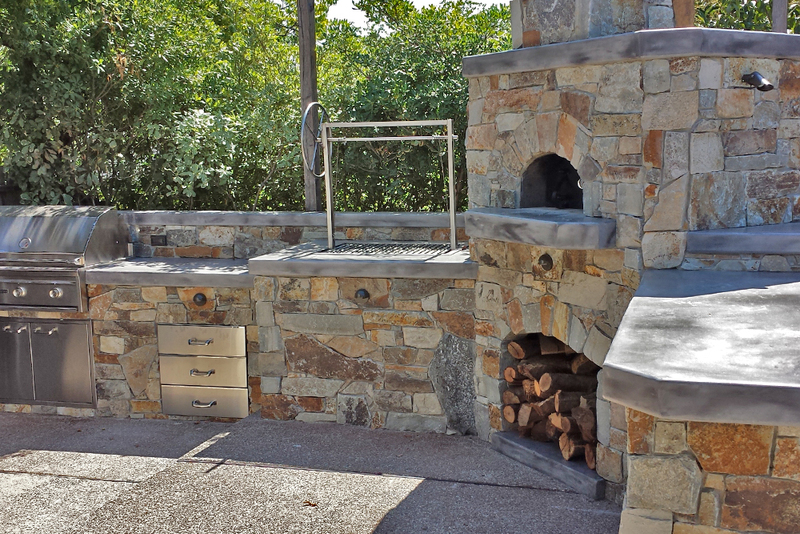 The outdoor kitchen you choose will depend on the layout of your back yard, the style of your home, and the lifestyle of you and your family. 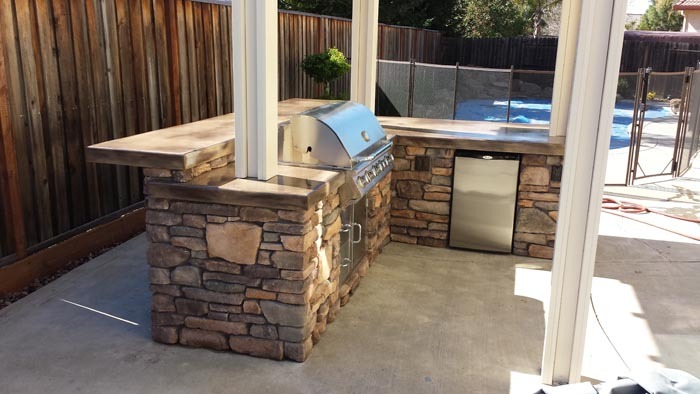 As a result, our design experts at Custom Image Hardscapes work with you to help you find the outdoor kitchen design that is going to be perfect for you. 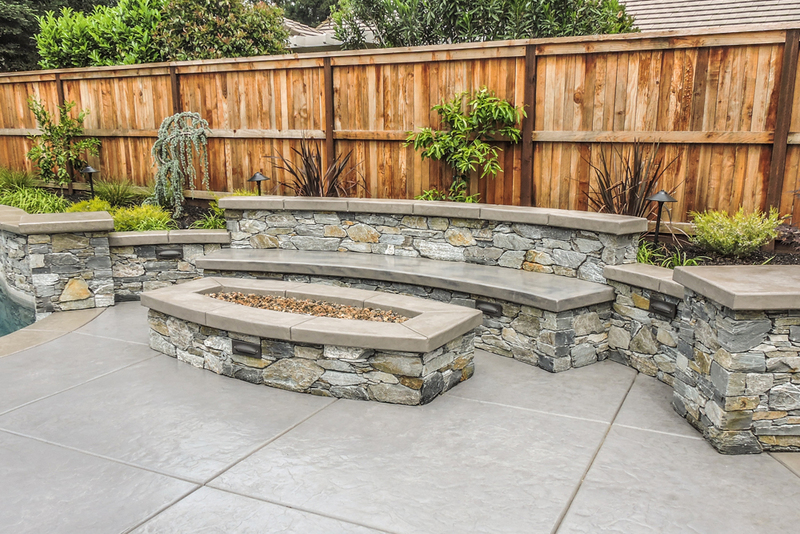 You shouldn’t expect to just pick one out of the gallery and use it exactly as it is. 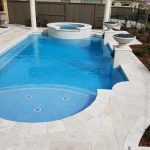 Once you start looking at your different options you are almost certainly going to want to tweak the design and incorporate elements that are all your own. 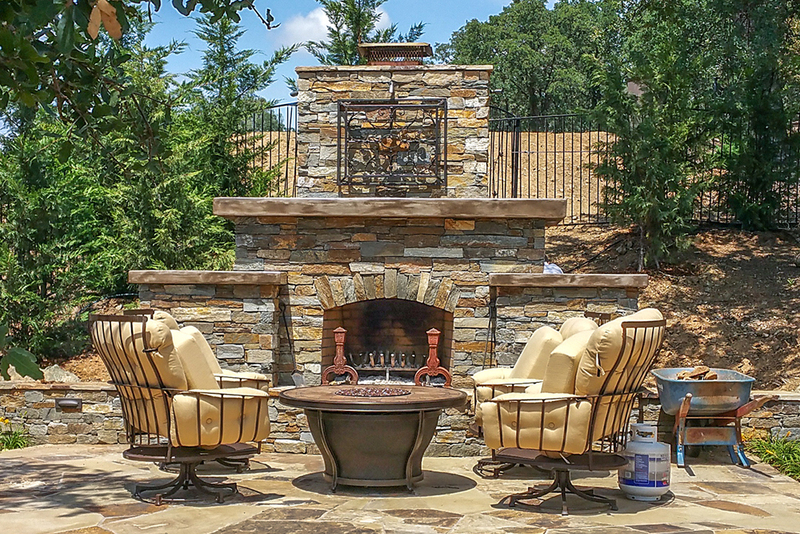 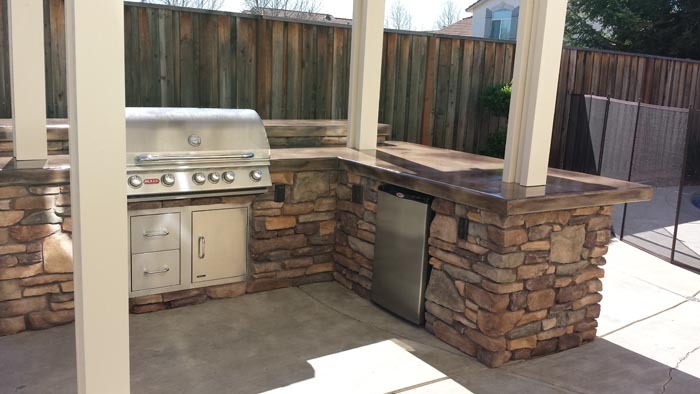 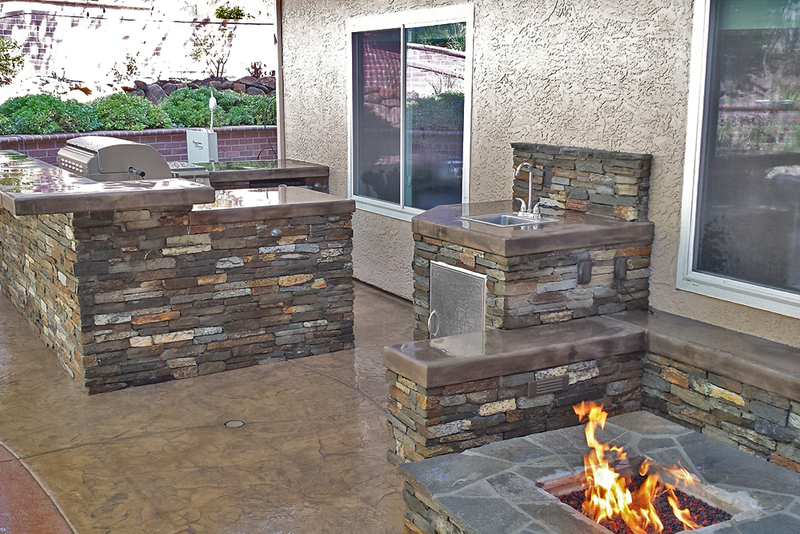 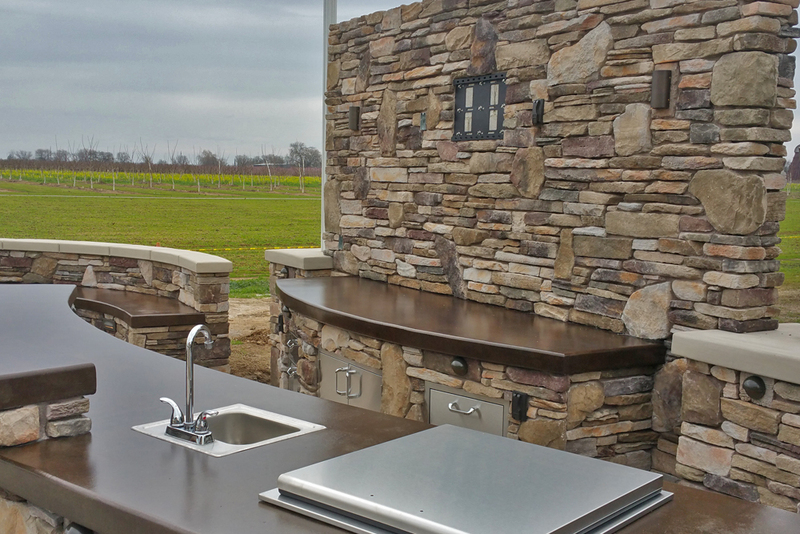 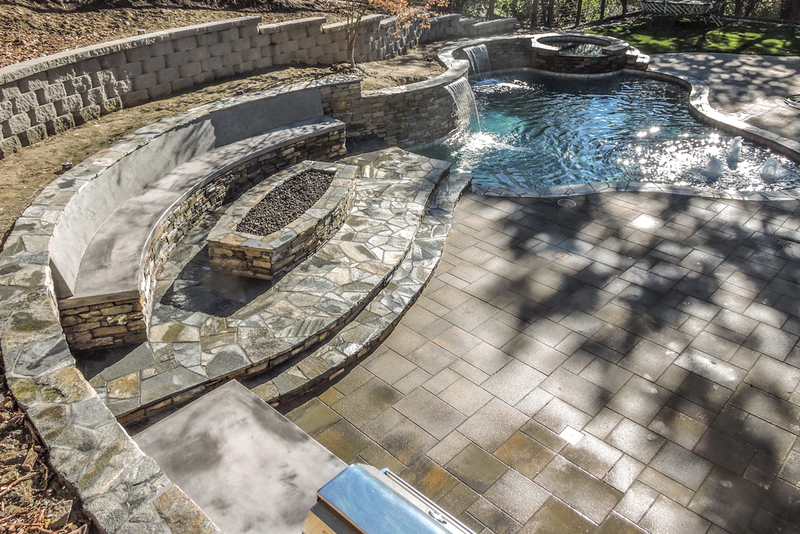 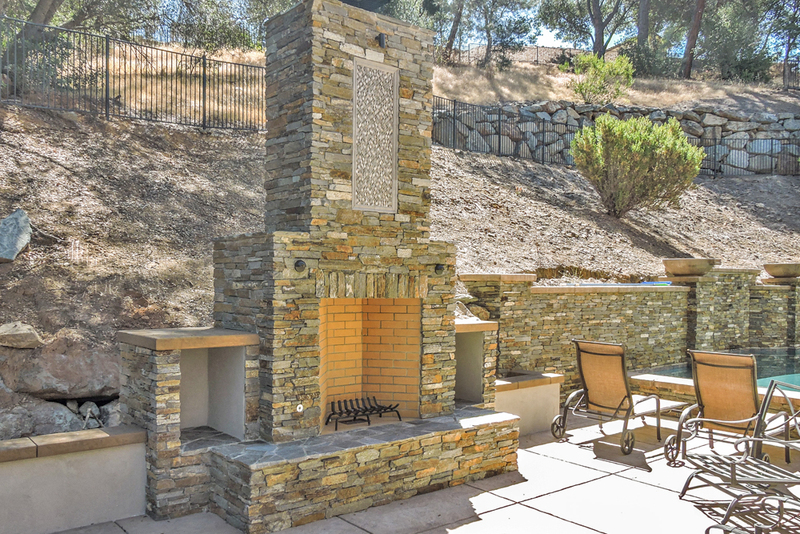 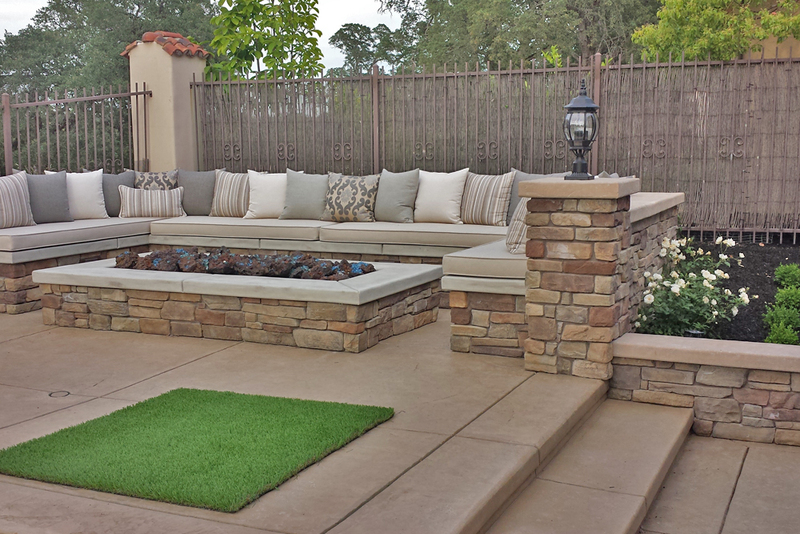 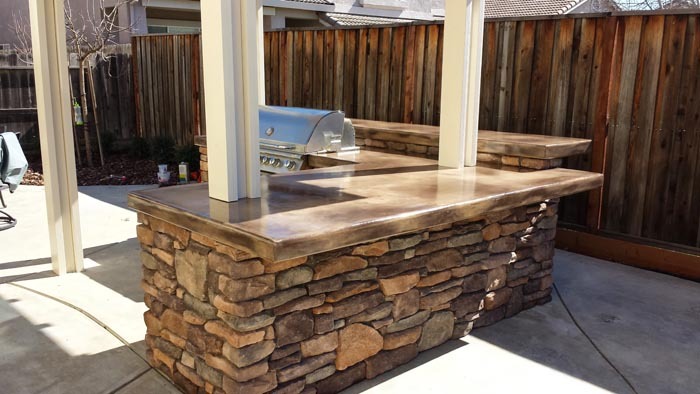 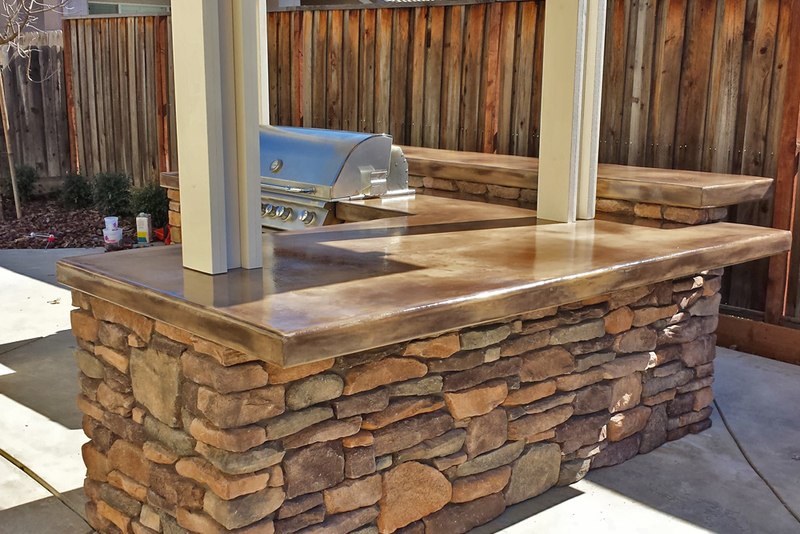 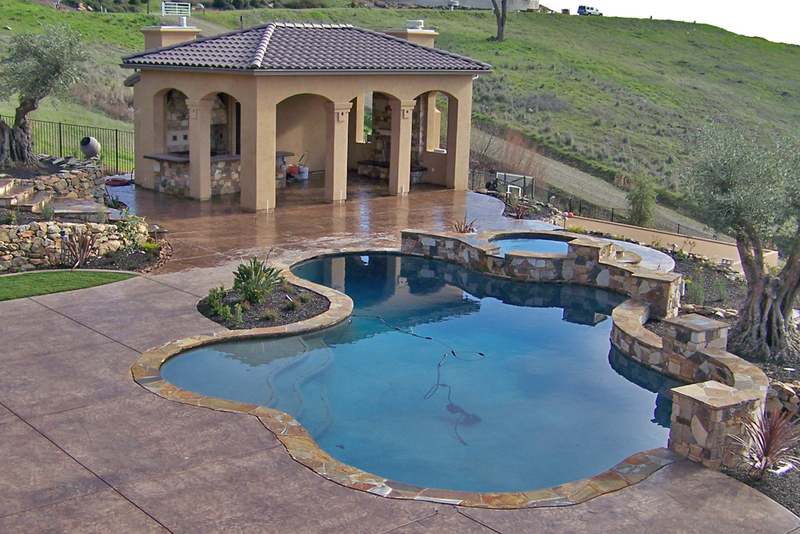 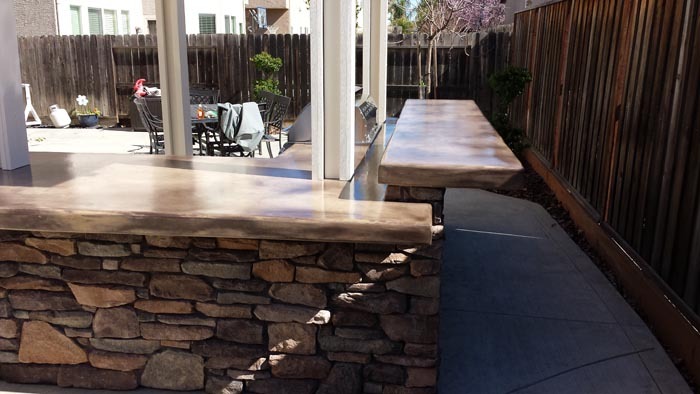 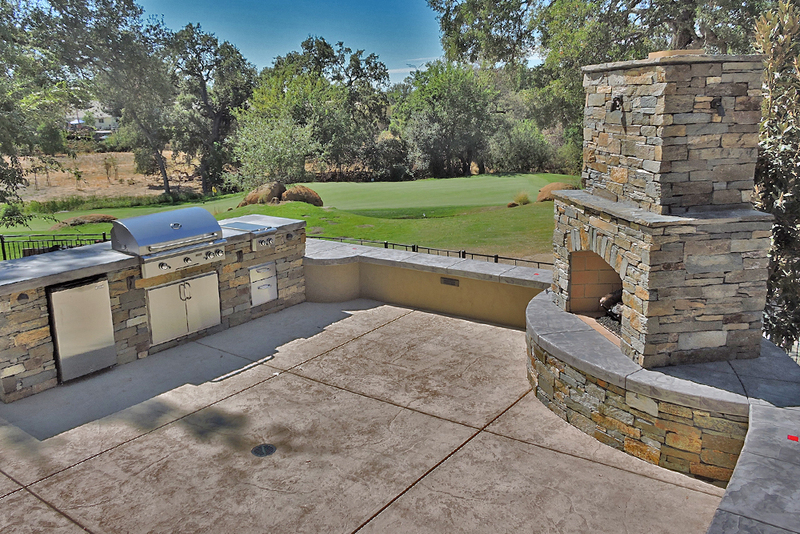 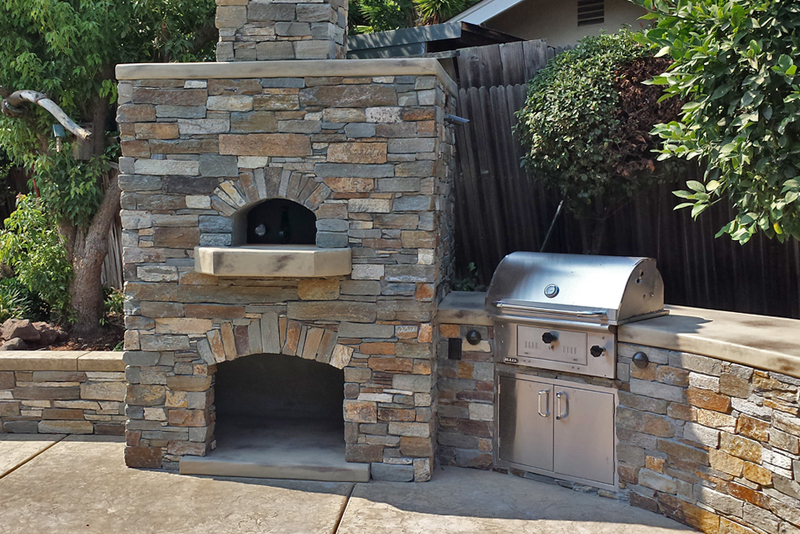 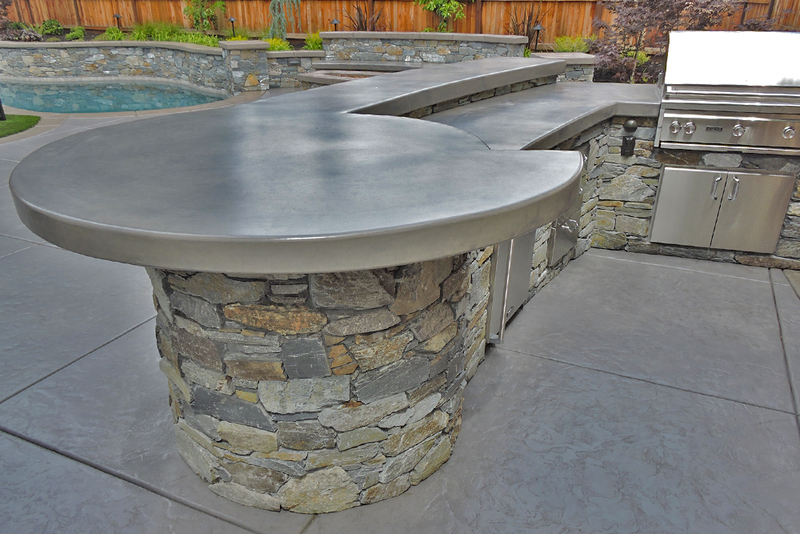 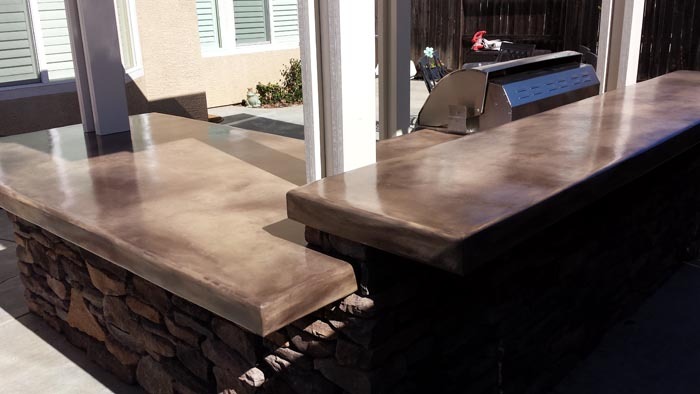 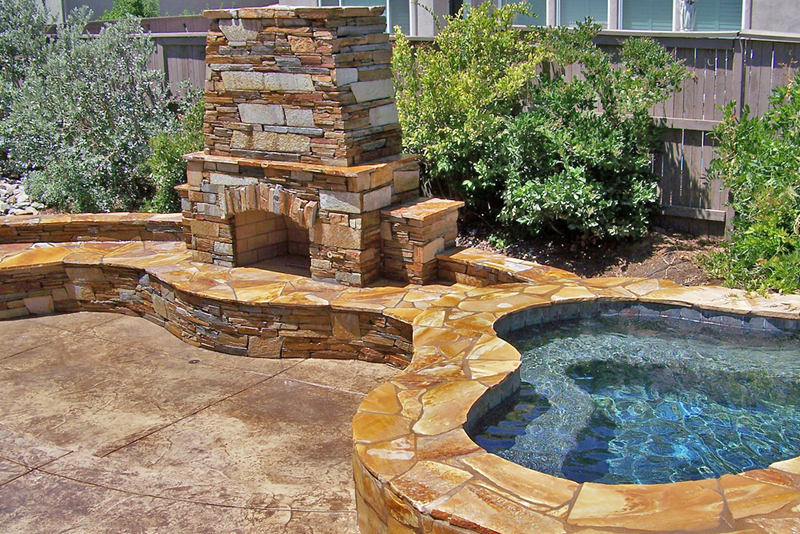 Here at Custom Image Hardscapes, we are committed to providing you with the ideal custom outdoor kitchens and outdoor living areas for your Sacramento, CA home and for your lifestyle. 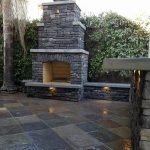 Give us a call today for a free estimate, and to discuss the many different options you have.